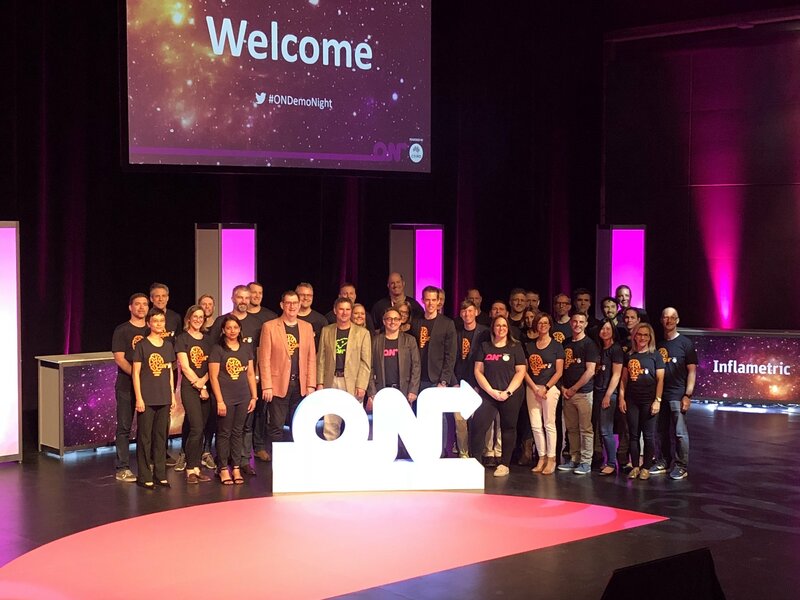 Last night, ten science and technology research teams from across Australia pitched their innovations and ideas at the annual CSIRO ON Demo Night. The teams, which were all part of the fourth cohort of the ON Accelerate Program - Australia's national science and technology accelerator - powered by CSIRO, presented their ideas to industry, potential investors and stakeholders from across the country to accelerate their sci-tech research innovations and ideas towards success as ongoing ventures beyond the program. Mary Webberly, part of the Noisy Guts Project team from the University of Western Australia, was recognised for her incredible achievements in science with the annual Breakout Female Scientist Award. Her team, The Noisy Guts Project, are developing an acoustic belt that records gut noises over time to assist doctors with the accurate screening and diagnosis of gut disorders. Steve Brodie Head of the ON Program said the Breakout Female Scientist award is presented to the female participant who has shown great leadership, resilience and a can do attitude in the commercialisation of important science. "Under representation of women in leadership positions remains a large issue within the science and technology industry, which is why CSIRO ON is dedicated to recognising trailblazing women who take on this challenge," Mr Brodie said. “From day one Mary has shown incredible tenacity in building Noisy Guts as a solution to diagnosing gut disorders. Joss Kesby is one of three Diffuse Energy team members who have developed a small wind turbine that, through being enclosed within a diffuser, can produce nearly twice the power output of existing wind turbines of the same size. The inaugural Stanford Australia Foundation – CSIRO Scholarship recognises the individual who has displayed the most ‘entrepreneurial capacity’ in the ON Accelerate Program. The Scholarship is awarded as a $30,000 contribution towards course fees and economy travel to attend a Stanford University program, run through the Stanford Graduate School of Business in California, USA. Hyperdrive Science received the People’s Choice ‘Innovation IMPACT’ Award as voted by the audience. Hyperdrive’s vision is to help pharmaceutical companies find cheaper, safer, and more effective drugs for everyone. To achieve this, they’ve developed a new way to beat the current costs and delays in drug development. Hyperdrive Science is a new discovery platform that enables the rapid association between drugs and their targets in the human body, addressing this shortfall in the current drug development process. The service increases the accuracy of drug candidate selection, reduces costs, and creates new opportunities for finding novel targets to unlock hidden value in the assets already owned by Hyperdrive’s customers. The teams, which were all part of the fourth cohort of the ON Accelerate Program, presented their ideas to industry, potential investors and stakeholders from across the country.